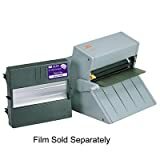 14. Business Document Laminator, 12"
15. Business Document Laminator, 9"
I have had this laminator for almost 5 years.It works great and is so handy to have around.I would highly recommend it to anyone interested in purchasing a laminator! 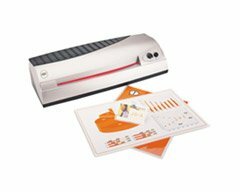 The 3M LS950-E Laminating System by 3M, is great and saves time. I have used this item for over a year, I have completed programs, and made a book for my pastors family with memoriable pictures of his wife and their mother before she passed away. It was unexpected and she had 12 living children. We took so many pictures during church activities, to where I had picutures they did not, and they had pictures they wanted to share with other family members. I was so busy trying to complete these books before family members left town, but with this great machine and continuous lamination paper, I had no problem. I could tell by looking before it ran out without messing up paper and valuable time. This machine is good for quick, small and big jobs. I use it for my daugheters certificates and my own. I have also talked my job into purchasing two for the office we have 450 employees and they love to have things given to them to show we appreciate their hard work, lamination help your memories last forever. If you haven't tired it you should and you will not be disappointed. It is also unbreakable,you get a lot out of your product, and the refill price is reasonable. Once huge, hulking machines only found in school offices or at a copyshop, laminators have gotten smaller, faster, and much less smelly. 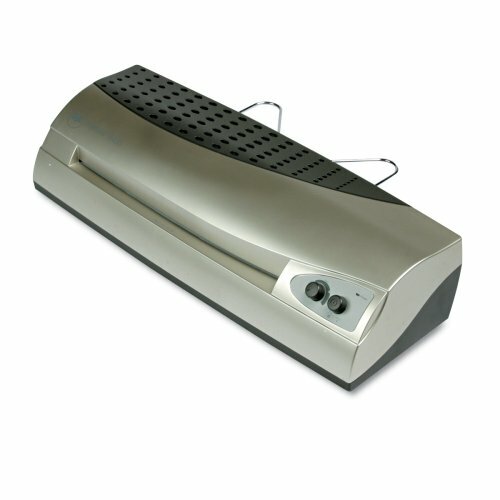 The FellowesCXL 260 laminator is just such a device, and is perfect for your home, office,or school. 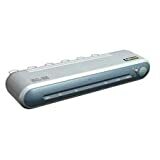 It's more advanced than your typical laminator--featuring both a hotand a cold setting. For regular documents, you should use the traditional hotsetting, but, for heat-sensitive photos, the cold setting is best, as it won'tdamage the weighty photo paper or alter the colors. An LCD digital display tellsyou the exact temperature of the laminating and any fluctuations, so you canmonitor the heat. Low and compact, the CXL 260 will snugly fit on a desk or on a table for easyaccess, but we found that a level surface produced the best performance. And,though it's smaller than older versions, the machine is still pretty heavy (22pounds), so watch your fingers when setting it down. To use the laminator,insert the three-pronged plug into a (preferably grounded) socket and turn thepower on (and only the power at this point, please). Then, adjust thetemperature control to the correct setting. Typical heat levels for variousitems are conveniently marked on the control. After a warmup of two to threeminutes, the green ready light will illuminate; you can flip the motor switch,and you're ready to go. The first time you use the machine you may see a puff ofwhite smoke--don't worry, this is normal. The CXL 260 is also very quiet; itemits only a low hum. Using the included handy graphics software and a package of letter-sizelaminating pouches (not included), you can create all sorts of cool documents.You just insert a document into the pouch, center it, and, then, feed the pouch(closed side first) slowly and gently into the laminator. The machine will pullthe pouch in, and slide the finished product out within 10 seconds. Then set thedocument on a flat surface to cool. You can have a stack of "good job"certificates for your soccer team, business cards for a new venture, or luggagetags for that trip to Paris laminated in mere minutes. However, if you want tolaminate your best photos for safekeeping, you'll need to purchase separate coldpouches made specifically for that purpose. Having a laminator at home is as fun as it is pragmatic. You can quickly immortalize mementos, protect recipes or IDs, and add a sense of permanence to children's artwork. 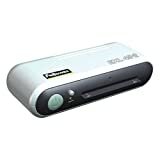 Fellowes's compact 4-inch laminator is designed with just these sorts of small home projects--or some quick office work--in mind. With the ability to laminate documents up to four inches wide, the 52004's size is ideal for photos. However, the instruction sheet doesn't recommend using the "hot" setting (which is the only setting this machine has) to laminate photos. Just to check, we tried laminating a photo and it came out undamaged--but it's up to you to decide whether you want to take this risk. 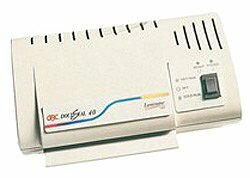 Despite the limited-width capacity of the laminator, it can manage documents up to 5 millimeters thick, which is remarkable for such a small machine. Using the 52004 is relatively simple: Just plug the machine in, turn it on, and wait two to three minutes for the green Ready Light to illuminate. Then, tuck the item that you wish to laminate inside a laminate pouch (a dozen of varying sizes are included) and put the pouch inside the carrier envelope (also included). The machine automatically feeds the carrier though, and your item will arrive warm and laminated on the other side. We tried laminating paper, plastic, bits of dried fruit (just to test the thickness capacity of the machine--we do not recommend using your laminator for fruit). It all came out looking great: solid adherence and no curled edges. Thicker items didn't get complete adherence immediately around the item, but that's to be expected from any laminator. Some business recognize the need for laminators; others have yet to discover their time- and inventory-saving benefits. Royal has designed an easy-to-use laminator with durable, intelligent construction for use in businesses, the home, and in schools. The unit's 9-inch, 4-roller system is great for laminating your photographs or important documents, and its readily adjustable temperature controls allow for fine-tuning and accommodate variances in laminating thickness. Royal's advanced design heats and compresses the lamination, simultaneously preventing the formation of any surface bubbles. Compact, the Royal PL2000 requires no carrying case. This was a total waste of money.Like the other users have complained in their reviews, this thing eats the documents that are fed into it.Twice I have had to pull stuff out and the document was all folded up and ruined.The third time something got caught, I managed to get the document out, but the motor was ruined.The laminator would heat up, but wouldn't advance the document.I will be buying another type of laminator because I need one, but will never buy another Royal laminator. I actually owned 3 of these machines, and 2 of them didn't last past 20 laminations.The only reason the other one didn't quit the ghost like the other two is because my toddler got to it first!For the first one I bought, the document jammed and wouldn't come out, so I had to send it back to the seller, jammed document and all.I could only get an exchange so I got the same machine.Well, I thought, the first one I got must have been a lemon, so I had high hopes for the second one.This is the one that my toddler got to.She put a piece of cardboard in and it got good and stuck.Well, I decided to buy another one of these.Well, this third one jammed on only the fourth document I laminated, the first day that I got it.It went under a plate instead of over it and curled down and around and under the motor. Stupid me, it took three of these for me to learn that this machine is junk. Taking these things apart doesn't help. I couldn't get the documents out both times.I was told by Royal technical support that I would have to take apart the entire assembly COMPLETELY, down to the last nut and bolt, to get my document out. Once a document gets jammed, it smokes the motor, especially if you try to keep it running to try to get the precious document out (I was laminating an entire set of wall alphabet cards, and without the one piece that jammed, the whole set was useless. I had to buy another one to make it complete). No repair center will fix this, even if it's under warranty. I called three or four. My only option was to send it back to the seller and get another identical machine for exchange, which, after all this, I didn't want anymore.Well, I got the exchange, but no longer want to risk losing or damaging documents, so it's sitting in the closet unused.Instead I bought ahigher quality one (GBC HeatSeal), and so far it's worked great for me. Stay away from this one, and you'll avoid frustration. I would've given it negative 1 stars if I could. I'm not the first to have had a terrible experience with this machine.Go to Staples or Office Depot and look at your other options. I got this last Christmas to make a small project for my daycare.It jammed after the first couple of half-sized pieces of paper were laminated.I was able to clear that jam and it worked for a couple more minutes.But then came the fatal jam.It sucked in the paper and I have yet to find where it went.It is trapped inside of it somewhere.I tried to take it completely apart, but don't have the skill to do it without breaking the whole thing.I called around to find someone to fix it, but everyone said it would be cheaper to buy a new machine. It's possible that I just got a bad machine.But I did wait several minutes between laminating sheets and I didn't try to laminate anything that was too thick. The very first time I used this machine, it jammed!!! I was able to use it about three more times(with at least one jam each time) before it jammed and stopped working completely.Thus, I got a total of four laminating projects( three or less items laminated at each project) before the final fatal jam.This final fatal jam has rendered the unit useless and even after taking the unit apart and clearing the jam, the unit will not work!! !This machine seems like a bargain, but this ends up costing me about $15 for each of the four laminating projects I was able to complete before the unit became useless!!!! 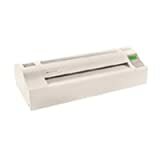 Spend the extra dollars and get a laminator that provides quality and is dependable!!! Oh, forget about the warranty; I can't find any place to have it repaired because the repair will cost more than the unit cost and there is no real hope that it will even work properly after the repair is complete!!!!! I got this laminator (brand new) from ebay for $55 including shipping. Users have to bear in mind that this machine is not for commercial use. So let it rest for a minute or so after each 4 to 5 letter size lamination; and it will serve you well. Dont forget to turn off! 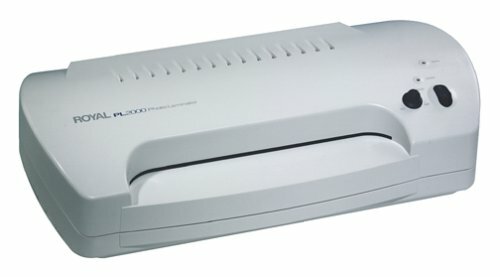 I have prior experience with the Royal PL2000 laminator.I use them mostly for digital photograph prints (8x10).The Royal wasn't that great but worked okay... until the motor burned out.I tried this Fellowes Laminator, but it does a *terrible* job laminating!I tried 4 different test prints (using the required carrier) but every single one had bubbles, poor lamination on the edges, warping of the print, and even cracking & bubbling of some of the ink!There really aren't any different temp. settings, though I tried to adjust the knob a few times.I also tried different carriers.But it's not worth it.The Royal wasn't that great, but at least it laminated well. I do not own this laminator, but I borrowed my friend's laminator.I love it.It is easy to use and laminated photo magnets that I printed from an inkjet printer.Also, my friend bought her laminating pouches from Sam's and they worked out fine.I like this machine so much that I'm planning to buy one similar to it in a larger size---the DocuSeal 125.
it would have zero stars if that was an option. Laminates up to 13" wide. Uses 3 mil to 10 mil pouches. Four rollers laminate up to 18" wide, including .1" mounting boards. One-Touch keypad with LCD readout. Uses up to 10 mil pouches.